Food, attractions, activities, and more! Stay Warm – Come On In! Planning your vacation this Winter? Look no further than the Great Smoky Mountains! There are a slew of indoor activities in the area. Whether you’re here with family or on a couples retreat, we have something for you! As you drive into Sevier County, you’ll see the crazy large upside-down house known as Wonderworks! This 35,000 square ft. house is jam packed with FUN for the whole family! Inside you’ll find over a hundred hands on exhibits for all ages, with six different “Wonder Zones” to explore. They mix education with entertainment for an experience you’re family won’t forget. Don’t miss the glow in the dark indoor ropes course, sure to bring out the child side in you. If you want to get your adrenaline going, try out the Rock Climbing wall or the Xtreme 360 Bicycle attraction. They even have a bubble lab- where you can blow bubbles bigger than a person! After touring the museum, head over to The Wonders of Magic Show with Terry Evanswood. The Ripley’s Aquarium of the Smokies is a true favorite with two levels of sea-sational entertainment. The Penguin Playhouse lets you view the wonderful life of a penguin. They even have a crawl through tunnel for the kids to get an up close and personal look! You can touch a jellyfish or a horseshoe crab in the Discovery Zone. If you would rather stay at bay, take a ride on the 340 ft. glidepath through the tunnel for an experience that is one of a kind. You truly feel like you’re a part of the ocean surrounded by sharks, sea turtles, stingrays and more! Lose yourself in a world beyond at Magiquest. This role-playing game lets you interact with other players as you work your way through quests and other adventures. Use real magic wands to battle your way through and solve the game’s mysteries. Once you complete all three Rune Quests, you can then become a Master Magi. The Hollywood Wax Museum is located in Pigeon Forge and is the only one in the country that is entirely devoted to celebrity figures. This picture perfect attraction allows you to immerse yourself into Hollywood with lifelike statues of the most famous people of show-biz. Photo-ops are sure to impress your friends with amazing folks such as Charlie Chaplain, Marilyn Monroe, Brad Pitt and more. Check out the other attractions they offer with an all access pass – Hannah’s Maze of Mirrors, Castle of Chaos and Outbreak Dread the Undead. We want to welcome Alcatraz East Crime Museum as the newest addition to attractions in the Smokies. This unique museum has artifacts straight from Alcatraz itself, but that’s not all! It’s divided into five different categories: History of Crime, Crime Scene Investigation, The Consequence of Crime, Crime Fighting and Pop Culture. They boast over 500 artifacts and 28 different areas with interactive exhibits. Gatlinburg is in full swing with smell of the seasons in the air! The colors are changing and providing the perfect backdrop for family fun activities! There is no shortage of things to do here in the Smokies, and we will let you in on the scoop. Why not plan a trip out to Kyker Farms in Sevierville for an afternoon on the farm? This family operated farm is located in Sevierville, TN. They offer a multitude of activities for all ages. Enjoy a relaxing hayride around the farm or take a stroll through the pumpkin patch. They even have three different corn mazes to choose from. For the kids they offer many different activities such as a playground, petting zoo, and jump pad. Ober Gatlinburg is kicking off their Oktoberfest. Running through October 30, 2016, they will have The Bavarian Fun Makers Oompah Band performing traditional folk songs and dances outfitted in authentic lederhosen. They will also be serving traditional Bavarian food in the restaurant. Also, look for the Bier Garten, which will be featuring different beers to patrons 21 or older. For more information visit their website here. Take a hike (or drive!) through the park to experience the wonderful views that the Smokies has to offer. 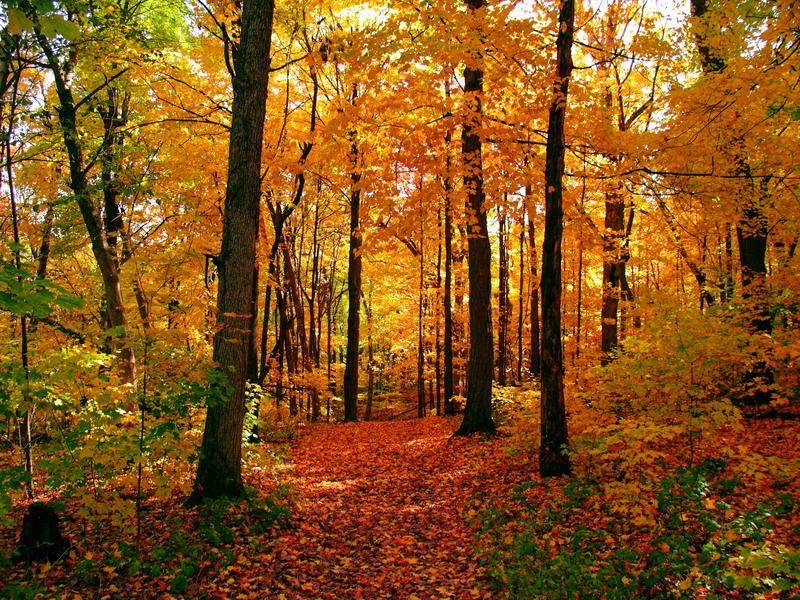 With the fall colors setting in, it’s the perfect time to get out there and enjoy all that nature has to offer. 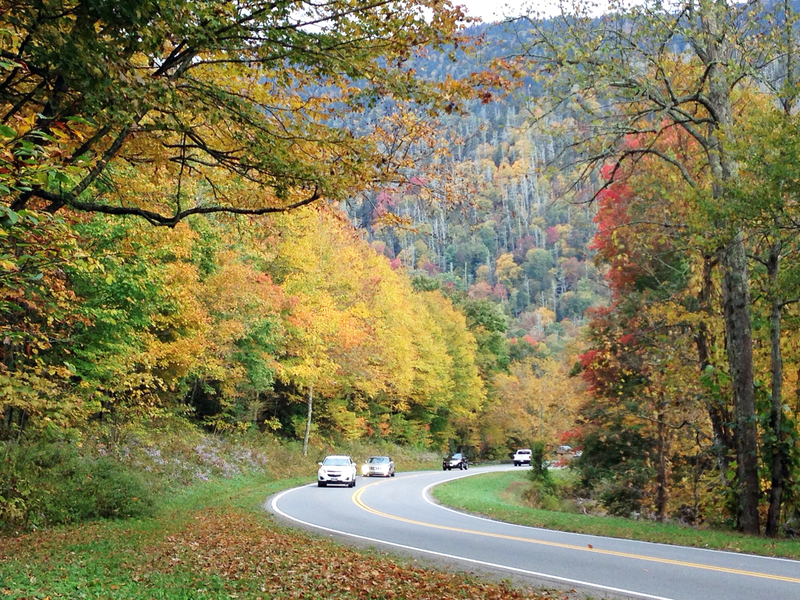 A few of our favorite places to drive through and snap some photos are Clingman’s Dome, Foothills Parkway, and the Roaring Fork Motor Nature Trail. Some great hikes that can lead you to and through the foliage are Andrew’s Bald, Charlie’s Bunion, and of course Mt. LeConte. located at 207 Parkway in Gatlinburg. For more information on a Gatlinburg Cabin for your Smoky Mountain Vacation or all the reasons to move to the Smokies, call 865-430-3366. ERA In The Smokies is a leader in chalet and Log Cabin Rentals and Real Estate Sales in the Gatlinburg area. Watch these Lumberjacks utilize their ability to chop and climb in the Springboard chop event. After they ascend they use springboard placements to chop through a 12-inch-diameter aspen log mounted on the top of the pole. In the Single Buck competition a Lumberjack utilizes a one-man bucking saw to pierce through 19 inches of white pine within the designated time frame. During the Hot Saw competition a lumberjack uses a STIHL MS880 chainsaw to make three vertical cuts—down, up, and down—through a 20-inch-diameter white pine log. This competition is based on the time frame in which the third slice is severed. All cuts must be complete to qualify. In the Double Buck competition, two Lumberjacks utilize a two-man buckingsaw to pierce through a 20-inch-diameter white pine log. The Lumberjack team that cuts through their log first wins! This Standing Block competition simulates the action of chopping down a tree. Lumberjacks will be striking the front side of the block. They then strike the back side, as their axe is driven into the wood severing it into two. In this competition Lumberjacks will be standing on a block, swinging a 7 pound axe in a downward position continuing half way through the front side in the Underhand Block Chop event. Swiftly they helicopter over to the other side to sever their block in two. In the 60-foot speed climb Lumberjacks will ascend poles with their ropes in order to cross the top line. Once this goal is achieved, they must be the first to touch ground in order to accomplish the win! The Log Roll competition is the grand finale it challenges a Lumberjacks ability for balance, speed, movement and longevity. A Lumberjack will attempt to lodge their opponent off a floating log within a designated time frame. The win is based on a two out of three score.